"OH! 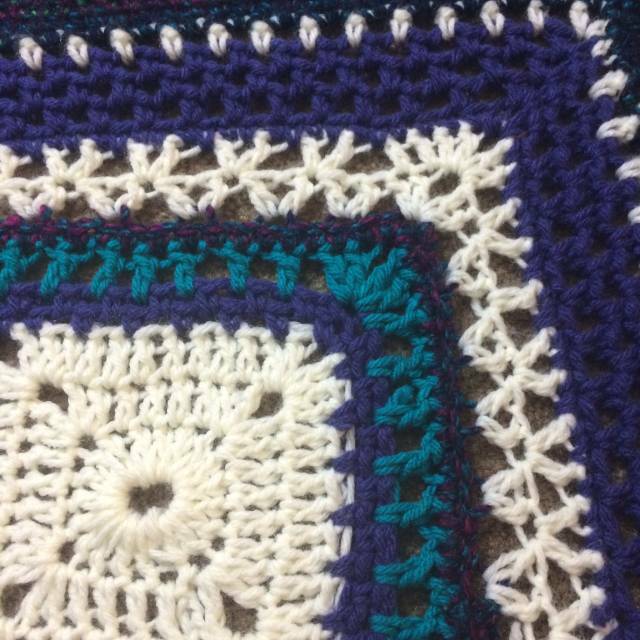 This Shouldn't be Too Hard" #4: 32 of 54 Rows Complete? YA! We. Are. Done. Question Mark? I had quite a few challenges while working with this pattern. First off, I had NO idea how to read a pattern, I did make a coffee cozy with a pattern, but that was no where near this complicated. When confronted with a new row, and a new stitch, sometimes it took ten or more minutes to decipher. 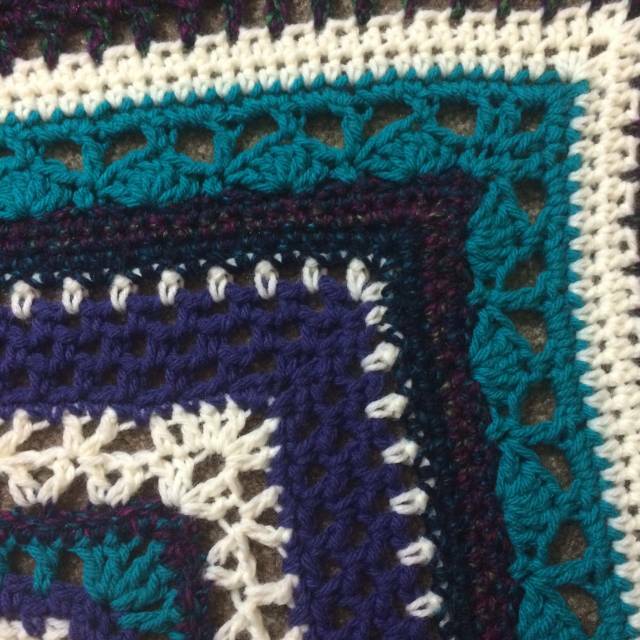 But in the end, I am super proud of getting the rows done correctly, with only 1 mistake that I found on the bobble stitch row. Secondly, this is the first project where I had more than a few colour changes. 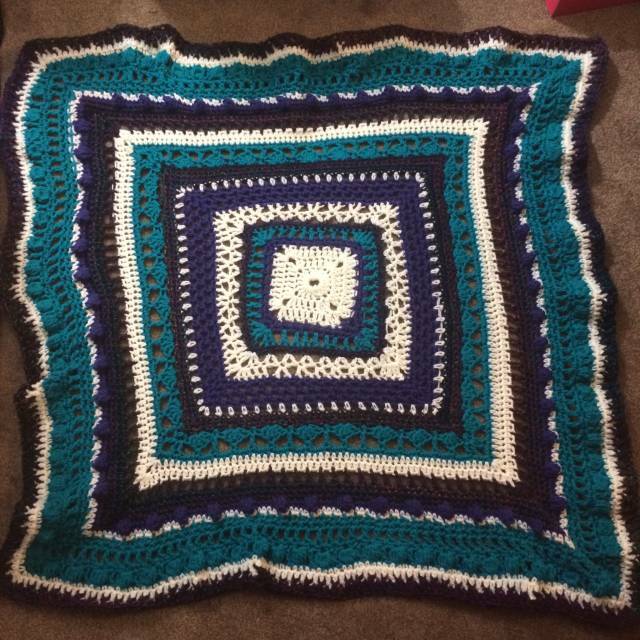 I usually have trouble with it, but I feel like it went fairly well, I don’t see any ends showing, it went together so nicely. Finally, time. 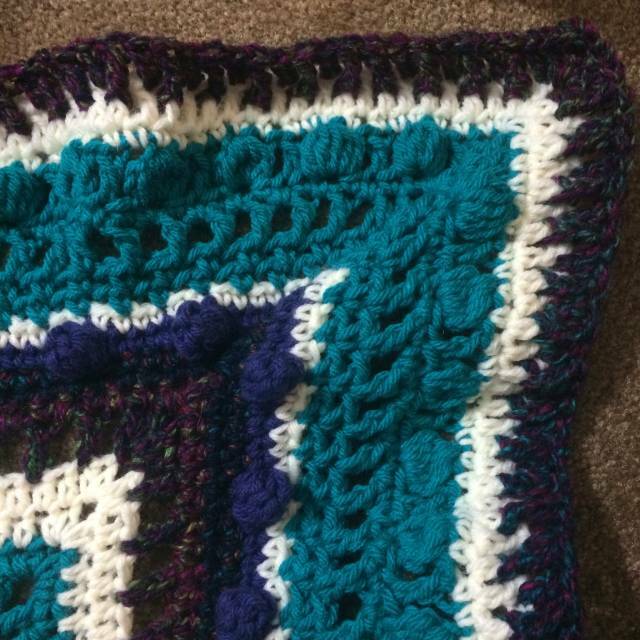 Who knew changing stitches and yarn every row would be so time consuming?! 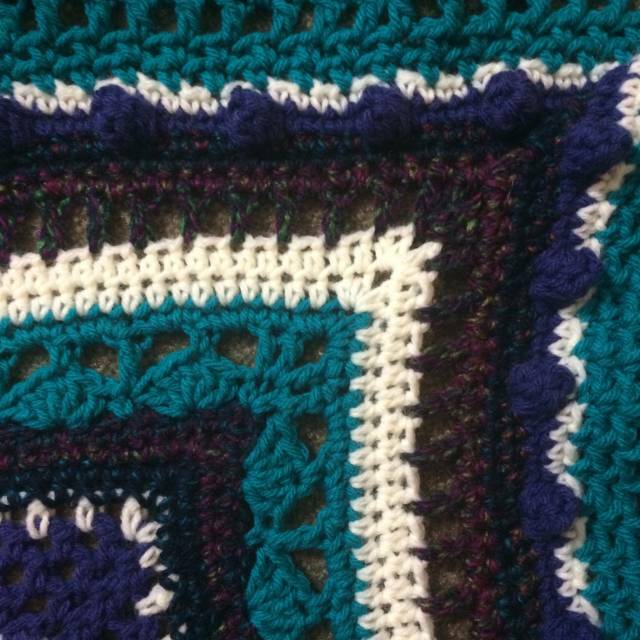 If I didn’t have a time restriction I would have finished the entire 54 rows, but I didn’t want my memory of this awesome accomplishment to be me rushing to complete the pattern. I’m really, really, proud of what I’ve done! Part 3: Oh, THAT'S How You Keep from Getting Discouraged! Part 4: 32 of 54 Rows Complete? YA! We. Are. Done. Question Mark? And look at those beautiful corners!!! Im so proud! Thanks everyone!